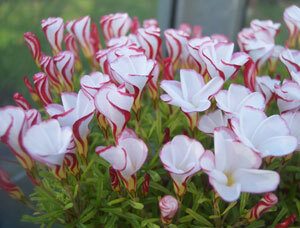 Beautiful South African plant for the alpine house flowering from December through to end of February. White flowers with red edge to outside of petals, which gives spiral effect. Naturally small bulbs.